Swim Guide wants to help you find the best beaches in the Province of Manitoba for the upcoming August long weekend. 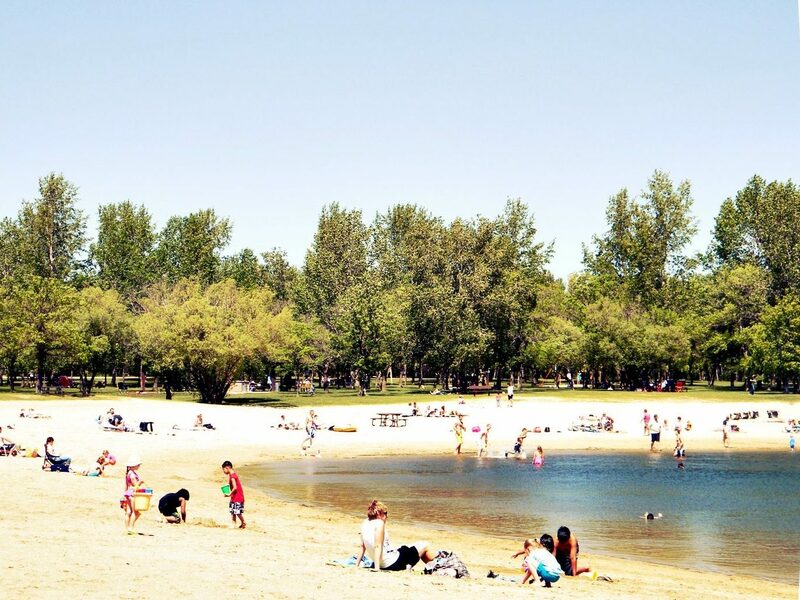 For the 2017 August Long Weekend in Canada, Swim Guide recommends these beaches in Manitoba for their consistent excellent water quality (they passed water quality testing more than 95% of the time in 2017), and the beaches’ popularity with our users. We’ve also confirmed that these beaches are open this summer. 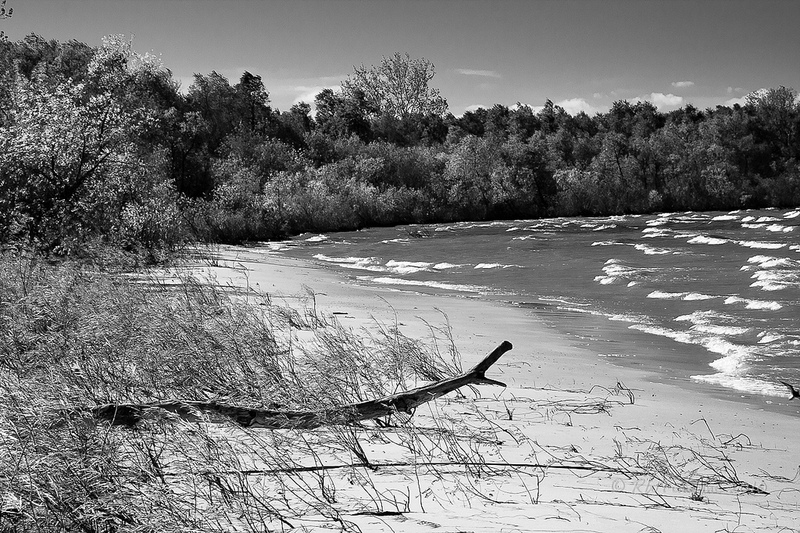 This beach is Part of Birds Hill Provincial Park, which has a mix of different landscapes lots of wildlife. The lake is named after James Curtis Bird, and was originally a single 80 acre lake. It has since been divided into two portions. Kingfisher Lake is the smaller southern portion, and is stocked with rainbow and brown trout. It is ideal for fishing. The northern shore of Birds Hill Lake is the only location designated for swimming. As it is located less than a half hour from Winnipeg, its shores can get very crowded in the summer months. There are washrooms and a playground nearby, as well as a public phones and a beach safety station. Swimming is unsupervised. West Grand Beach has been a favourite Manitoba holiday destination since 1916. It is Manitoba’s “little piece of paradise on the prairies”, and Lake Winnipeg’s most popular beach with some weekends seeing tens of thousands of visitors. The Town of Killarney is a rural community with its roots set in the agriculture industry and initially settled by many Irish immigrants. The lake, named after the Lakes of Killarney in Ireland, attracts many visitors and fishermen, but unfortunately also has a history of blue-green algae blooms, deteriorating the water quality to the point of toxicity, resulting in large-scale fish kills. The lake is now something of a test lab for methods of combating algae growth. Most would not consider the lake swimmable, and naturally an algae advisory is in place. Reputedly named for the Metis poet/songwriter Pierre Falcon (1793-1876), Falcon Lake is known for clear, deep water and access to an excellent self-guided interpretive trail along Falcon Creek. Other multi-use trails wind through the parks and are frequented by runner, cyclists, hikers and cross country skiers. Parking is available very close to the beach and a boat launch is available. The location is ideal for families; though swimming is unsupervised, a playground a picnic shelters are right at the beach. Lac du Bonnet beach is found in the town of Lac du Bonnet. The beach area has a sandy beach and a grassy hillside, along with a play structure. Every year there is a large fireworks display on the beach on Canada Day. The beach area is unsupervised by lifeguards. St. Malo Provincial Park is considered to be one of southern Manitoba’s better-kept secrets. Popular with families, friends, and groups, it accommodates a serviced campground and picnic areas. The wide soft-sand beaches offer plenty of space, with volleyball courts, picnic tables and concession stands nearby. Powerboats are prohibited, making the lake quiet and well-loved by canoeists and boardsailers. Paddle boat rentals are also available on the beaches, and a sailboard launch is just outside of the swimming area. Parking and modern washrooms are also nearby. Once out of the water, Rat River dam and dyke, the source of the Reservoir, are available for exploration, and a network of trails go around the lake and into the aspen forest. Albert Beach is a natural, freshwater beach with fine sand located on the shores of Lake Winnipeg. It is north of Grand Beach Provincial Park off Highway 59, and on the south shore of Traverse Bay which faces Elk Island Provincial Park. Albert Beach boasts quaint vintage cottages, and the community has a gas station, licensed restaurant, and general store where they offer internet access and tasty coffee. It was named by the Canadian Northern Railway in 1914 for Prince Albert, the husband of Queen Victoria.